emkay it depends on where BB-5 makes its moves,interior Maharastra or MP. Today get a break monsoon feeling in Mumbai - but then showers predicted by night today isnt it !! Hope we get good showers this weekend in mumbai..seems like gujarat is getting good rains since yesterday..
@emkay..How are you so sure about the bb5 moving to Mumbai?? Ahmadabad records 109mm rain till 5.30pm today for last 9hrs. South India interior desertification..Mysore,Mandya,Bellary,Bangalore,Chamrajnager,Rayalseema,parts of TN no rain....3rd in row for drought. Interesting prediction by next 10years half of Bangalore population needs to be evicted... comments interesting..
Arpit - Pls IMD regional weather report (Chennai) -> observations -> cities -> will show information. Worst part major cities like BANG,MYS are built on places having worst of rains. 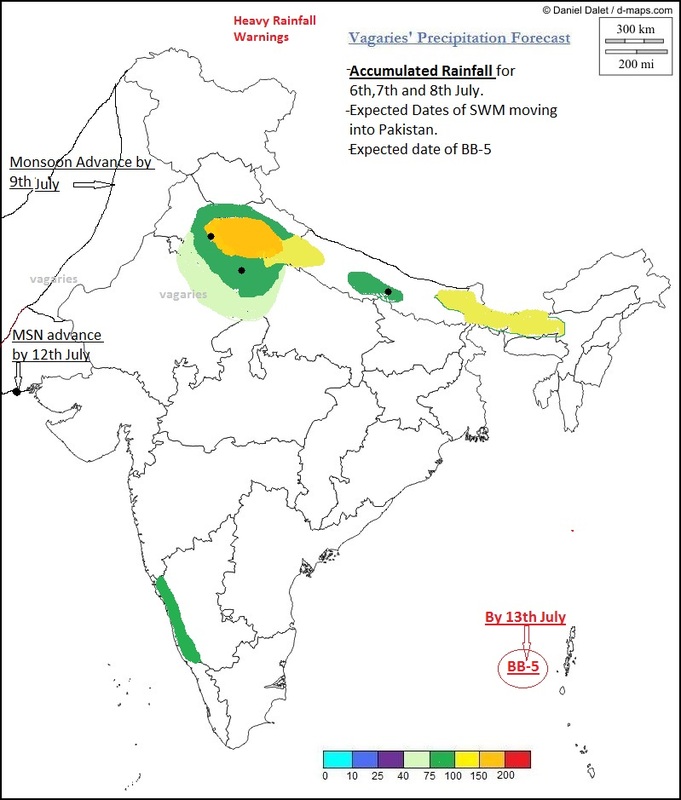 Pattern is repeated for past 3 years- monsoon currents do not reach these places (probability of failure is high) and most of my relatives are staying in these places.